CENTRAL CITY - Betty Katherine O'Bannon, 69, of Central City, was called home to be with her Lord and Savior, Jesus Christ, on Wednesday, December 7, 2016. 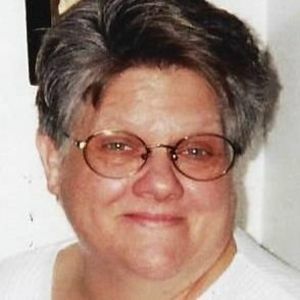 Betty was born on December 17, 1946 in Muhlenberg County. She was the daughter of Roy and Dorothy Wilson and was a life-long resident of Muhlenberg County. Betty married Jerry O'Bannon, Sr. on August 9, 1965. She was a full time wife and mother whose greatest passion was her children and grandchildren. She had a great sense of humor and was well known for her funny comments and stories! The times she enjoyed most were when her children and grandchildren were all together at her home. She truly lived to love her family. She was a member of Richardson's Chapel General Baptist Church. Betty was preceded in death by her parents, Roy and Dorothy Wilson, her son, Roy O'Bannon, her brothers Roy Wilson, Jr., Jimmy Wilson, Charlie Wilson and Roger Wilson, her sister Debbie Murphy and an infant grandson. She is survived by her husband, Jerry O'Bannon, Sr., of Central City, her children, Jerry (Michelle) O'Bannon, Jr., of Beech Creek, Sheryl (Mike) Patton of Central City, Judy (Tim) Hunter of Ashland City, TN, Terry O'Bannon of Central City, Carol (Todd) Elswick of Belton, Lishia (William) Wyatt of Madisonville, Troy (Nellie) O'Bannon of Central City and her daughter-in-law, Chasity O'Bannon of Bremen. She is also survived by her grandchildren, Megan Hunter, Austin Hunter, Ashley Hand, Ashley (Gavin) Hill, Blake (Kaitlyn) O'Bannon, Tyson (Whitney) O'Bannon, Alexis (Dylan Smith) O'Bannon, Janie (Logan Brown) Elswick, J.T. Elswick, Matthew Patton, Katelyn Patton, Mackenzie (Jamie Caswell) O'Bannon, Kaleigh Anne O'Bannon, Hayden O'Bannon, great grandchildren Paislee O'Bannon and Piper O'Bannon, siblings Peggy (Donald) Sallee of Yankeetown, IN., Millie (Phil) Woerter, Evansville, IN., Tommy (Kaye) Wilson, Greenville, Leroy (Sandy) Wilson, Central City and Donna Kay (Barry) Fortney of Bowling Green, numerous nieces and nephews. Funeral Services will be conducted by her pastor, Bro. Larry Lile, on Friday, December 9, 2016 at 2 p.m. at Tucker Funeral Home in Central City. Visitation will be held from 9:30 a.m. until 2 p.m. at the funeral home. Burial will be in Memorial Gardens in Powderly. 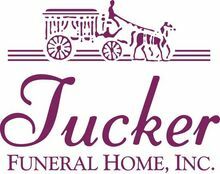 Online condolences can be made at www.tuckerfuneralhome.com. To the family I am so sorry for your loss ! Judy, Im so sorry to hear about the loss of your mother..I Love You, and am praying for you and your family that God will comfort yal in this time of grief. Thinking of the O'Bannon family today. I haven't seen Betty in many years but will always remember the kindness she showed to me and everyone else. Many prayers for you all today and in the days ahead. Vickie and I would like to offer our condolences to the entire family and will keep you in our thoughts and prayers.